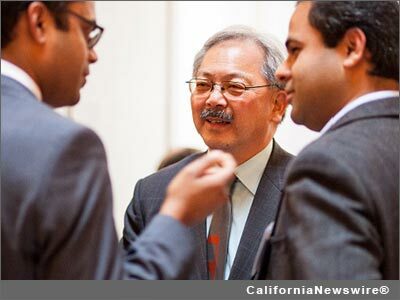 SAN FRANCISCO, Calif. /California Newswire/ — Earlier this month, San Francisco Mayor Edwin M. Lee announced that Armistead Maupin, local icon and acclaimed author of the Tales of the City series, has been named to receive the 2016 Mayor’s Art Award. Mr. Maupin will receive the 2016 Mayor’s Art Award on Tuesday, March 29 at a fundraising reception hosted by ArtCare: Friends of the San Francisco Arts Commission. Armistead Maupin was born in Washington, D.C., in 1944 and grew up in Raleigh, North Carolina. A graduate of the University of North Carolina, he served as a naval officer in the Mediterranean and with the River Patrol Force in Vietnam. Maupin worked as a reporter for a newspaper in Charleston, South Carolina, before being assigned to the San Francisco bureau of the Associated Press in 1971. In 1976 he launched his groundbreaking Tales of the City serial in the San Francisco Chronicle. Maupin is the author of eleven novels, including the nine-volume Tales of the City series, Maybe the Moon and The Night Listener. The Peabody Award-winning television miniseries starring Olympia Dukakis and Laura Linney were made from the first three Tales novels. The Night Listener became a 2006 feature film starring Robin Williams and Toni Collette. The Tales of the City books have been translated into ten languages, and there are more than six million copies in print. Maupin lives in San Francisco with his husband, Christopher Turner. Over the years, Maupin has been involved with advocating for gay rights and has actively supported a number of organizations with a mission to advance the lives LGBTQ youth and adults. This is the fifth Mayor’s Art Award to be bestowed on a San Francisco artist. Previous awardees are: Ruth Asawa (visual art); Alonzo King (dance); Carlos Santana (music); Rhodessa Jones (theater). This is the first time a writer is being honored with the prestigious Mayor’s Art Award. Maupin adds this award to other accolades including Lambda’s Pioneer Award (2012); Litquake Barbary Coast Award (2007); a Big Gay Read Literature Festival, UK Best Gay Read Award (2006); Outfest Legacy Visionary Award (2004); Gay, Lesbian & Bisexual Book Award (2001); Capital Award presented by GLAAD Media Awards (1999); Bill Whitehead Award for Lifetime Achievement (1997); and an honorary Doctor of Letters from the University of North Carolina-Chapel Hill.